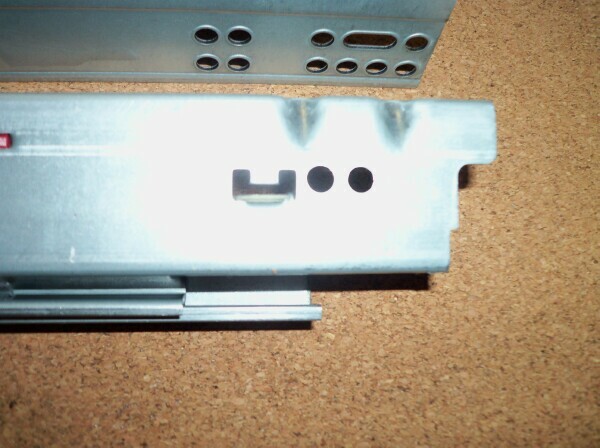 One of the "delicate" steps of installation of a pullout shelf using shelf mount slides or brackets is sliding the pullout/drawer unit forward to expose the screw holes in the slides or in the brackets, depending on what hardware you are using. 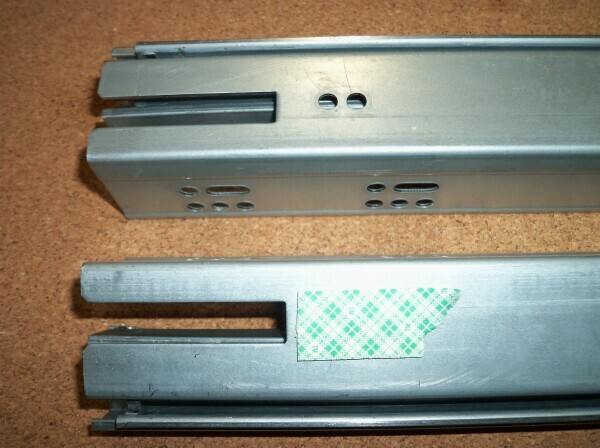 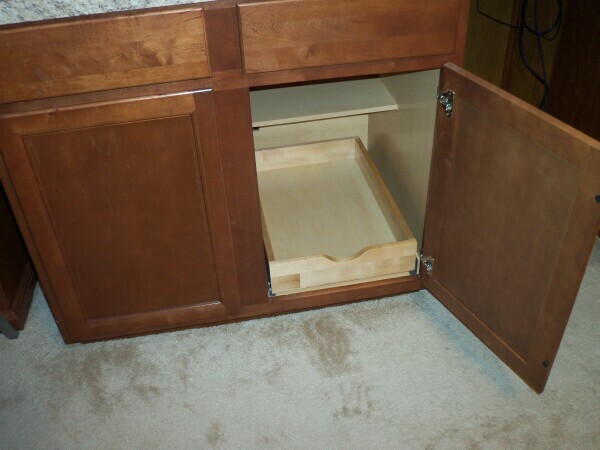 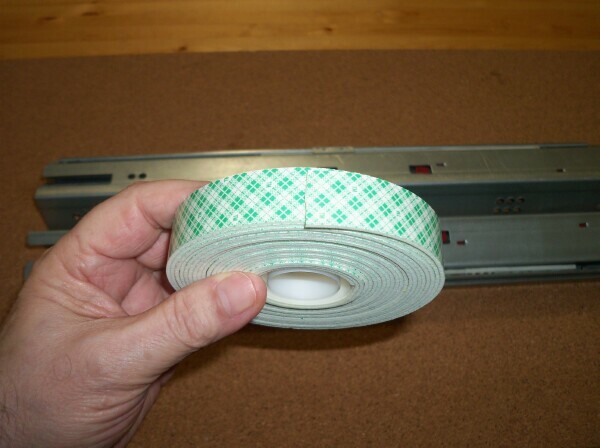 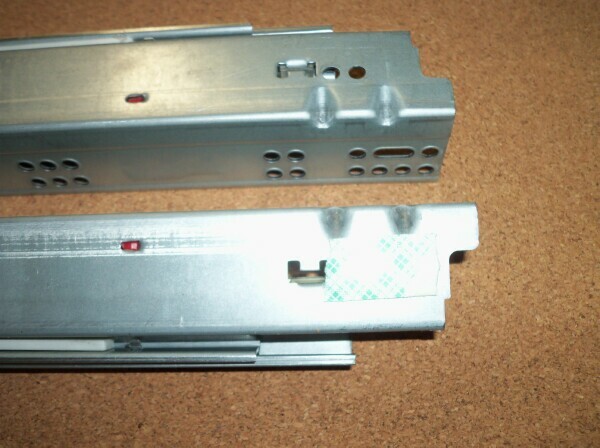 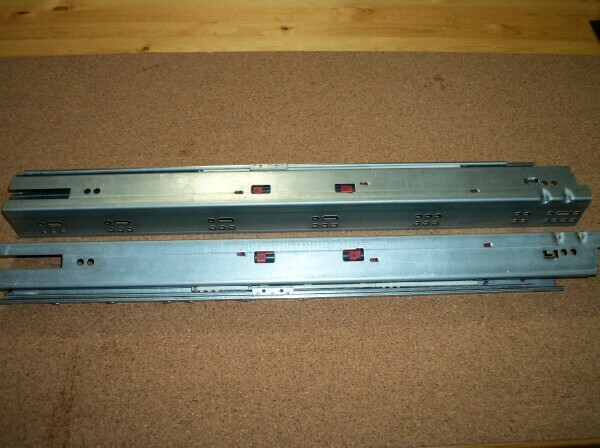 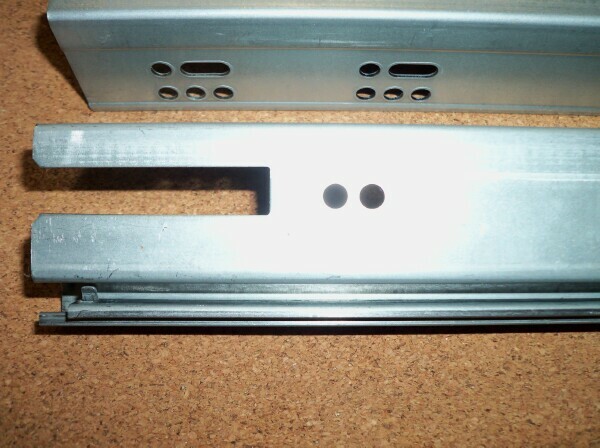 The pictures below show how to use double stick tape to solve the problem of trying to pull the pullout/drawer forward without moving the slides or the mounting brackets. 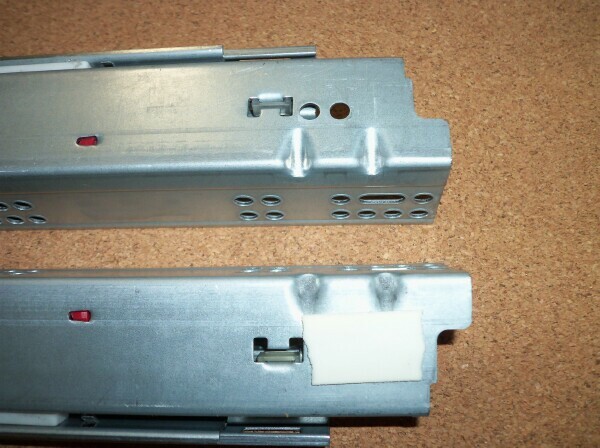 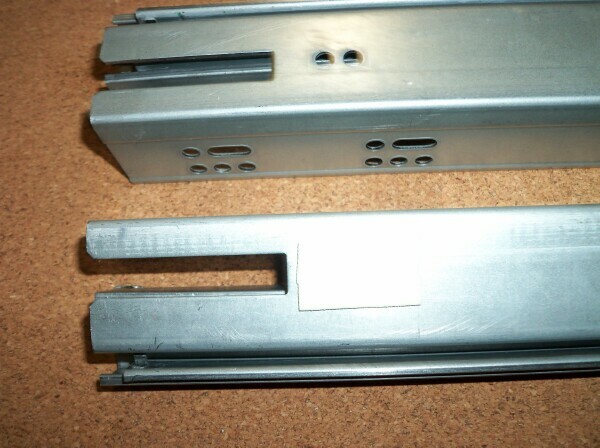 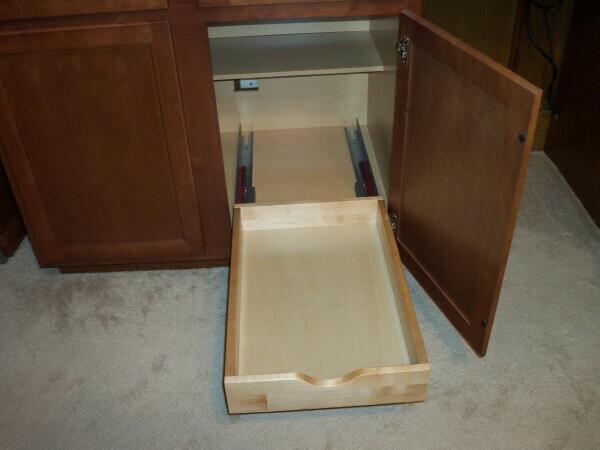 Note: The slides should be installed on the pullout shelf before you set and press into position on your cabinet shelf.